At Kenny’s Tile, we are proud to offer homeowners in Parkville, MO the very best in flooring, countertops and home remodeling ideas and products. Whether you are contemplating the installation of a beautiful new granite countertop or you need help refinishing hardwood floors in your home, we’re here to help. We are a family owned business that has been serving area residents since 1954 for their Parkville home remodeling needs. Homeowners in Parkville, can take advantage of our outstanding retail showroom featuring an amazing array of home decorating ideas. Our vast showroom will help you not only choose the right flooring for every room in your home, but it can also give you many excellent remodeling ideas you might not have even considered. Additionally, our experienced tile installation experts are on hand to answer your questions and help you choose the best options for your Parkville home remodeling needs. From refinishing hardwood floors to installing tile to offering Parkville homeowners exceptional carpet installation, our trained service staff is dedicated to ensuring you get the quality products and service you deserve. In addition to providing a wide range of flooring options to choose from, our extensive showroom will allow you to browse see the many hardwood, tile, and carpet samples up close to help you achieve the exact look you want for your finished Parkville home remodeling project. Whether you need help designing your new kitchen or you want our expert team of installers to put in your new granite countertop, you can be sure that we will offer quality service and attention to detail from start to finish. 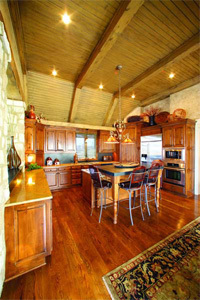 A big part of the success of your home project will depend on the quality of the materials and precision installation. If you live in Parkville, let us give you a hand. We will work with you to determine your design needs, budget and any specifics necessary in order to ensure your project is completed on time and with the results you want. Give us a call or come to our showroom and find the perfect carpet, tile, hardwood or granite countertop for your Parkville home.